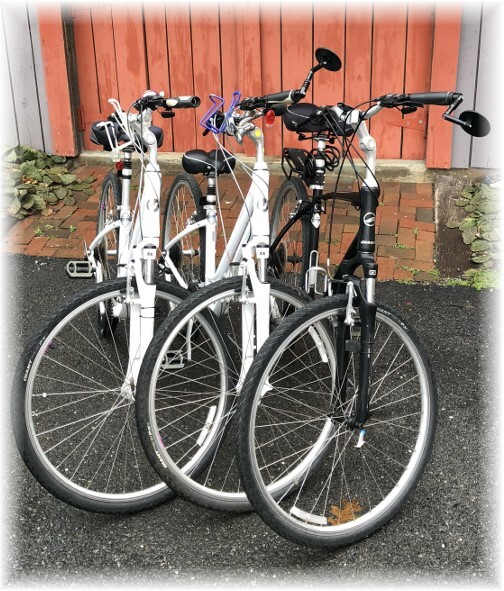 This Friday and Saturday we had the warmest weather of the season so we brought our bikes down from the top of the shed and rode them on the Northwest River Trail along the Susquenna River. 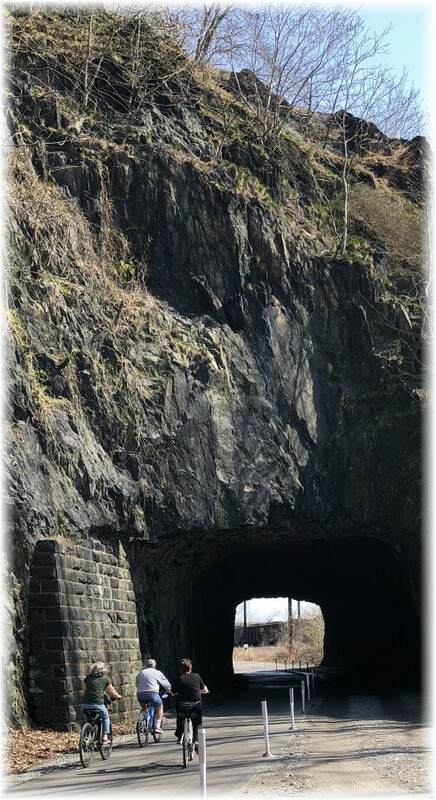 In this photo Brooksyne is entering the tunnel under Point Rock in a long abandoned railroad tunnel. However Sunday cold, drizzly weather returned and it’s pouring today as well! Message summary: Jesus makes a fish provide a four-drachma coin, the exact amount of silver coin needed, to pay the Temple tax. This miracle reminds the disciples that He is indeed the all-powerful Son of God who controls all creation, including a single fish. “But so that we may not cause offense, go to the lake and throw out your line. 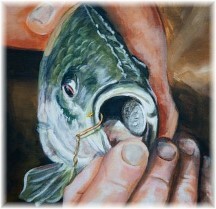 Take the first fish you catch; open its mouth and you will find a four-drachma coin. Take it and give it to them for my tax and yours” (Matthew 17:27). “Give to everyone what you owe them: If you owe taxes, pay taxes” (Romans 13:7). 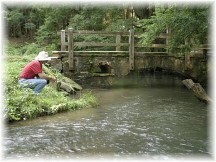 This last weekend was the first day of trout fishing statewide here in Pennsylvania. It was a beautiful Saturday and many fishermen (including women and children of course) lined streams throughout our state. But I am pretty certain no one caught a fish like the one described in our first daily text! Each week we have the opportunity to share a brief devotional at one of our chaplain locations. This company is a wholesale distributor of gift and home decor items, many with a Scripture or Scripture-based theme. When possible I try to use one as an illustrative prop which the employees seem to appreciate. The other day I was talking to Joshua, a young employee who has Down Syndrome. He has a loving family, church and employer who values his giftings, a great combination for anyone overcoming a disability. He is a diligent, conscientious worker. I asked Joshua if he had any ideas for a message at the devotional time and he suggested the first daily text. In over 40 years of Bible study and ministry I don’t believe I’ve ever given much consideration to this passage, let alone tried to give a lesson so today let’s see what we can glean! Fishing was common in the gospels. Several of the disciples were fishermen; in fact some of the great teachings and miracles of Jesus took place out on the lake and nearby shore. Jesus connected with the disciples and their livelihood by calling them out to be “fishers of men”. There’s even a great fishing story between the Resurrection and Ascension. Today’s text indicates that Jesus paid taxes while He was on earth. Consider this reality: the Maker and Master of the universe was subjected to paying taxes just like we are. In this case it was the religious temple tax. Today’s account is an unexplained miracle. We’re not told how the first fish Peter caught would just happen to have the required tax amount stored in its mouth, an amount adequate to pay both Peter’s and Jesus’ tax. It’s that way with a lot of miracles. There’s just no human explanation which is the definition of supernatural; forces or events that cannot be explained by science. Since we serve a miracle-working God, who is constantly working in the supernatural, I believe it and I believe you do so as well. Paul writes, “For by Him all things were created that are in heaven and that are on earth, visible and invisible, whether thrones or dominions or principalities or powers. All things were created through Him and for Him” (Colossians 1:16). The apostle John writes concerning Christ, “All things were made through Him, and without Him nothing was made that was made” (John 1:3). Jesus makes a fish provide a four-drachma coin, the exact amount of silver coin needed to pay the Temple tax. This miracle reminds the disciples and us that He is indeed the all-powerful Son of God who controls all creation, including a single fish. Here in the United States we are mindful of taxes especially now. After all, tomorrow (April 17) is the last day to file our tax returns for 2017. Wouldn’t you like to see the miracle of the fish repeated for all your taxes? Just get a fishing license (which is a type of tax), cast your line, and get the exact amount you need from the first fish you catch! If that works let us know. But in the meantime hear Paul’s simple command, “Give to everyone what you owe them: If you owe taxes, pay taxes” (Romans 13:7). Daily prayer: Father, our citizenship here on earth brings about numerous responsibilities, including that of paying taxes. 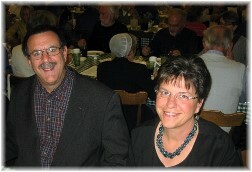 As citizens of the eternal kingdom, some of the ungodly causes our taxes help support is a troublesome challenge to our spirit so we address that through prayer and proper action at the voting booths, where we can run for office or vote for officials most in keeping with our biblical convictions. Once again, this tax season, we will dutifully pay our taxes as we render unto Caesar that which is Caesar’s in keeping with our duties as citizens. Amen. Friends, Jason and Angie Kinney, joined us for our ride with this photo taken in front of a a stately home in Marietta, PA. The Kinneys get lots of looks from fellow bikers and walkers as they ride their recumbent bikes. I tried riding it but… I don’t think it’s for me – nor did Brooksyne. 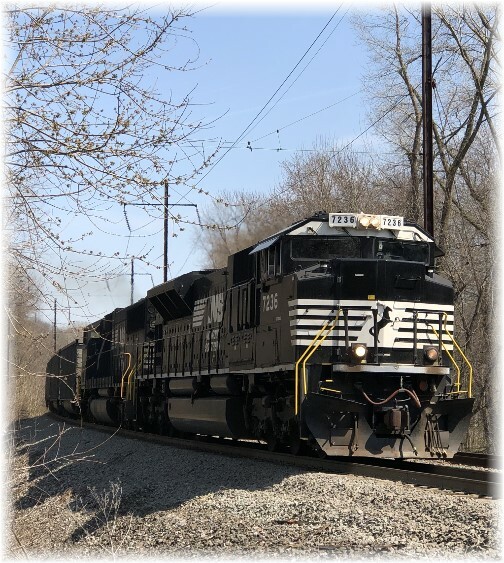 During our bike ride a big Norfolk Southern freight train roared by as it headed up the river toward Harrisburg and beyond. On a beautiful Saturday afternoon we cleaned and tuned up our bikes getting ready for what we hope will be another long riding season. “Songs of fishing and taxes” search came up with this video! Northwest Lancaster County River Trail If you live in our area this is a beautiful ride. Yesterday, following our church service, we joined friends Jim and Dorothy Schmidt for a delicious pot roast in the cafe at Calvary Homes Retirement Center where they reside.